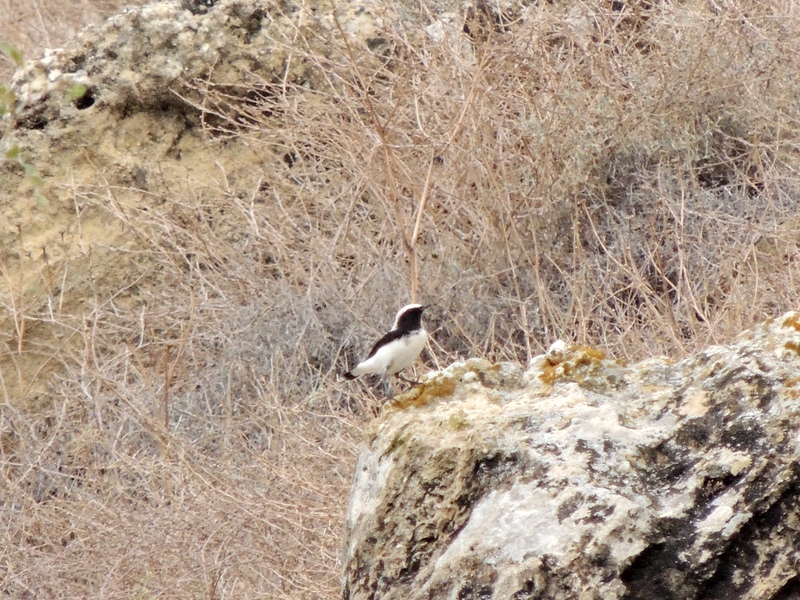 Found my target species today at Agios Sozomenos – a newly arrived male Finsch’s Wheatear (well he wasn’t there on Wednesday!) was setting up his winter territory there. An interesting selection of raptors was flying over the area – all receiving close attention from the local Western Jackdaws – first a juvenile Bonelli’s Eagle, then a Long-legged Buzzard, a Common Buzzard and finally a Eurasian Sparrowhawk all had to run the gauntlet. The only raptor that the Jackdaw’s didn’t bother was a Peregrine Falcon flying around the cliffs. 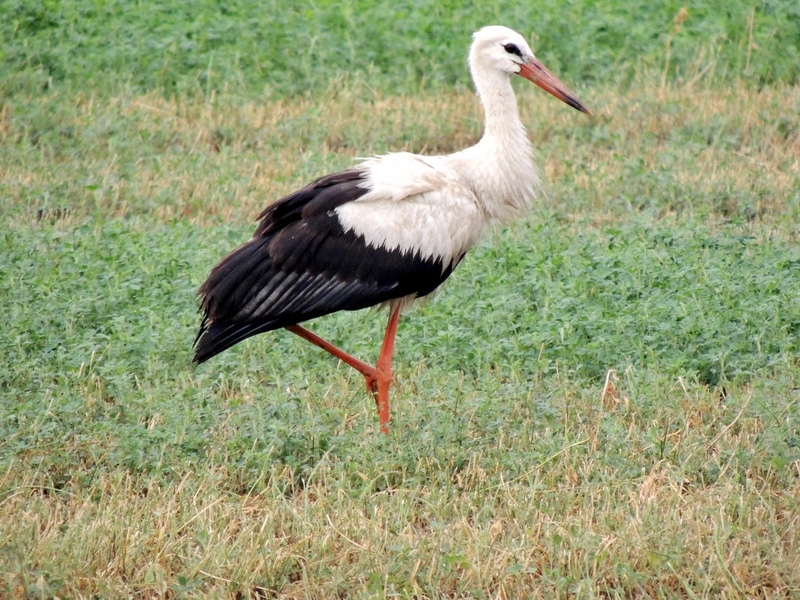 I only saw one White Stork in the nearby clover fields but I understand that two had been present earlier in the morning. Categories: Birding | Tags: Birding Nicosia, Bonelli's Eagle, Common Buzzard, Cyprus Birding, Cyprus birds, Cyprus birdwatching, Eurasian Sparrowhawk, Finsch's Wheatear, Long-legged Buzzard, Peregrine Falcon, White Stork | Permalink.